Will you be putting your hand up for this year’s Trek for Kids? Maybe you’re planning an adventure trek of your own! Whether you’re wanting to seriously challenge your fitness or just enjoy the scenery of a new destination, there’s more that goes into a successful trek then showing up with a great attitude. Our trekkers have all been working on their own fitness routines to ensure they are in tip top shape for September. 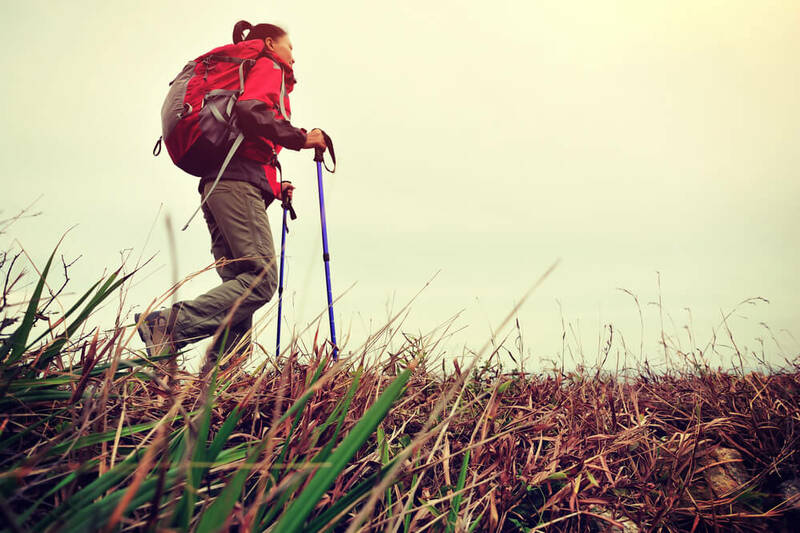 Here is our complete guide to preparing for an adventure trek. 1. It’s all about the shoes. First things first, you’re going to want to invest in a pair of fancy footwear. You’ll need to buy a pair of walking shoes or boots suitable to the trek you are doing and then break them in. Start wearing them in around a month before your trek so you don’t completely wear them out but they won’t give you blisters on your trek either! Look for a pair with good water resistance and lots of support and ventilation. 2. Practise makes perfect. You might think your fitness levels are where they need to be for an extended adventure trek, but have you ever worked out for 8 hours straight? Start slow by going for daily walks, then increase the length of your walk or perhaps the pace. Eventually, you’re going to want to be able to be walking several hours at a time comfortably. Mix up your walking tracks and take a friend if you can. But the more preparation you can do before the trek, the less of a shock to your system. 3. Prep those pins. Walking daily is great but you should also try to incorporate any leg-based cardio you can to help build up your calves and quads. Soccer, football, swimming and especially cycling will help you build up your leg muscles. Mix it up by adding squats and lunges and your muscles will thank you when you start your trek. 4. Simulate the environment. It’s all well and good to be able to walk for hours around your neighbourhood, but if your trek is going to be on sloping, rocky ground you’ll probably realise you’re not as prepared as you thought. Try to recreate the environment you’ll be in on the trek by looking for local walking or hiking tracks with similar conditions. This will help prepare your feet, ankles and knees. If you know you’ll be wearing a back pack for most of your trek, get well acquainted with it now. Fill your pack with bottles of water or books, and add it to your daily walks. By mimicking the environment, your body will hopefully be somewhat adjusted to the conditions prior to your trek. 5. Nutrition Matters. Start stocking up on nutritious snacks that you can eat on the go. Things like nuts, muesli bars and dried fruit are all quick sources of energy and protein. During your training, get used to eating and drinking while you walk so your body can learn to digest during strenuous exercise.